A car is a must! 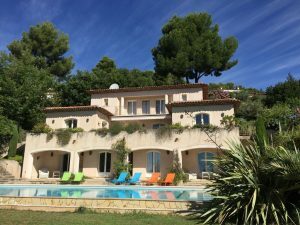 Villa Vue d’Antibes is extremely beautiful and spacious with breathtaking views over the surrounding hills and all the way to the sea. This property is very peaceful and tranquil. Perfect for families with children or friends sharing. 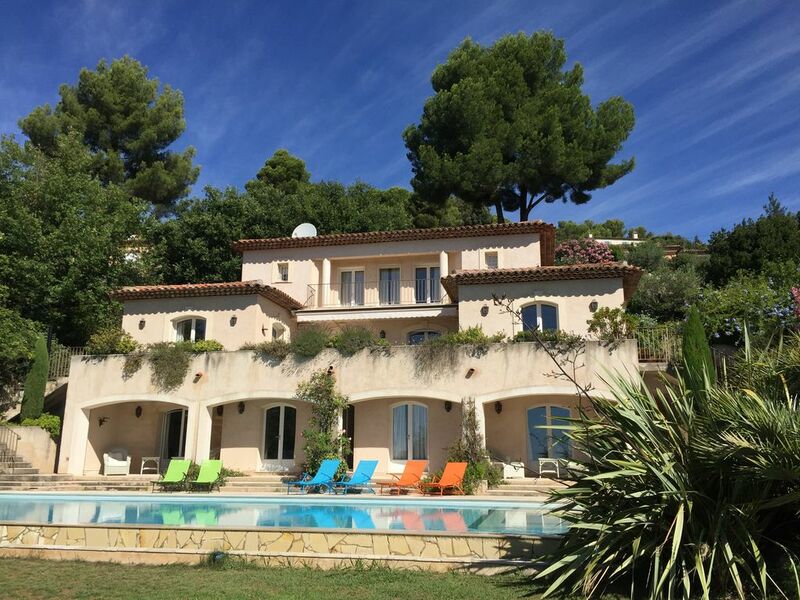 The villa has extensive gardens beautifully landscaped and very well maintained. There is a large heatable “18 meters” long pool (soft water, salt system which is perfect for sensitive skin, eyes, hair). Adjacent to the pool a comfortable sheltered sitting area. This property is very secure (gated, alarm electrical blinds) and has 4 double bedrooms on ground floor plus 1 independent studio (art room) on the top floor with a total of 4 bathrooms. 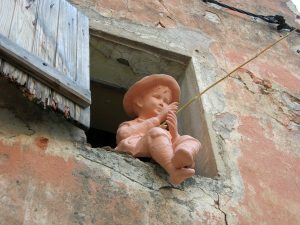 The enchanting village of Tourettes sur Loup is a short 4min drive away and it takes less then 15min to reach Vence. Monaco, Nice and Cannes are within 45min drive. Not suitable for marriages nor bigger events!